The Web site is available in English and in French. 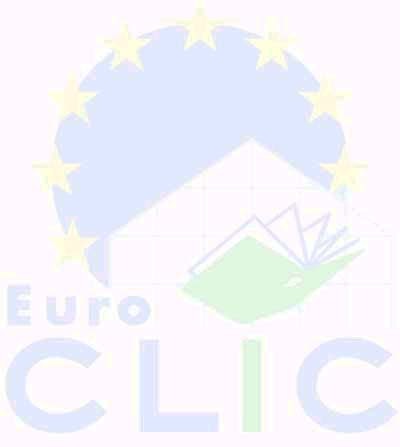 Euroclic is an interactive European network funded in part by the European Commission, which aims to include as many players in the field of plurilingual education as possible and to build on existing networks and initiatives. The project is co ordinated by the European platform for Dutch education in collaboration with the University of Jyvaskyla in Finland et l'office régional de Stasbourg. The network web site is continually developing. Euroclic is involved also in many initiatives : for example it has a strong presence at "CEILINK " think-thank . This seminar brought together many practitioners researchers and policy makers all interested in CLIL . CLIL has also been involved in the publication of the book "future scenarios" in Content language integrating learning , a collection of vision of CLIL in the future. The six bulletins presents many articles about CLIL experiences in different European Countries. Bulletin 1 makes a general introduction on CLIL, and then speaks about challenge of networks, books and film surveys, magazines and the meaning of in-service and pre-service teacher training. Bulletin 2 presents a case of networking in Netherlands, the specific terminology of CLIL, the importance of using videoconference as a new and useful mean of communication,. Bulletin 3 presents CLIL experiences in East Europe: Poland Hungary, Latvia and Russia, inter talk and chat- room. Bulletin 4 presents a beginner guide to Socrates lingua , a common European framework of reference for language learning and teaching , a case of Clil in Germany , and factors to setting up a bilingual section. Bulletin 5 presents a case study in Spain: accessible for more children, transfrontier co operation in the training of bilingual teachers , and video-based language courses for young learners in Germany and Spain. Bulletin 6 presents aspects of teaching methodologies in bilingual classes at secondary school level, introducing the BILD project , a bilingual case study in Switzerland and an experiment of teaching biology through English in Bulgaria. Inside the EVENTS you can find important meetings about CLIL and bilingual education in 1999 and 2000. The material bank is still under construction.